Search engine optimization (SEO) has long been proven to generate significant return on investment (ROI). Newer to the game, social media has experienced tremendous growth as a marketing medium, yet lacks SEO’s proven track record. If combined effectively, however, SEO and social media offer exponential benefits. Social media can be utilized to provide insights into potential keywords, while social media can populate organic search results. 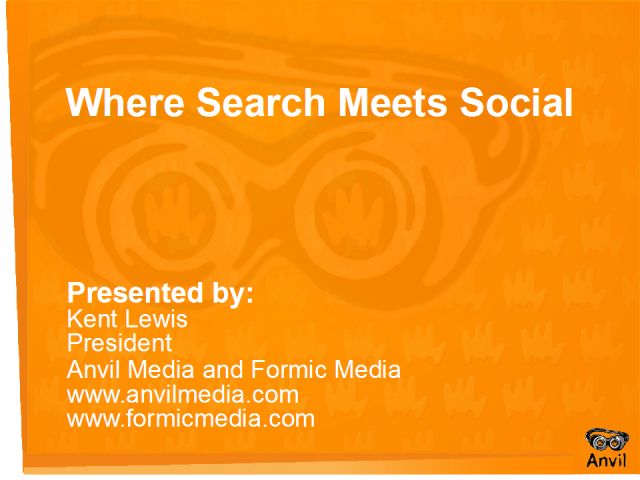 Kent Lewis, President of Anvil Media, will provide insights into SEO & social media integration best practices, including strategies and real-world case studies.